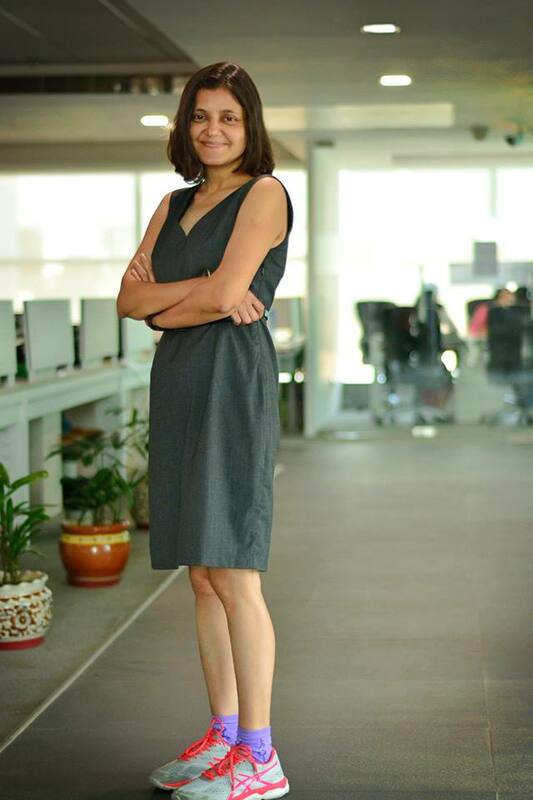 Sairee Chahal is the Founder, CEO of SHEROES – a community platform for women, offering support, resources, opportunities and interactions via Sheroes.com and the SHEROES App. 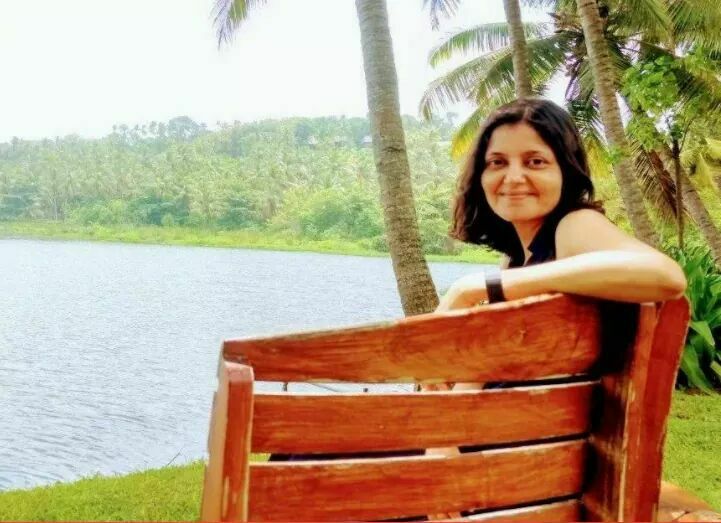 Sairee is credited with building up women at work and future-of-work conversations in India, besides building a strong technology play to solve the problems of gender disparity in India. Here is her story. Could you start by telling us a bit about yourself - your growing years, work, education - to the extent that is both comfortable and informs what you do today? I grew up in small towns, and was deeply influenced by my mom, the first takecharge woman I saw in action. Her fighting spirit and zest for life and learning, got me going to chase my own dreams. Being passionate about entrepreneurship, I launched my first startup Newslink soon after college – the world’s first newspaper for mariners. It went on to become a success, and eventually, I moved out of the venture, to pursue new dreams. I began SHEROES in 2013, and the rest is history. Education-wise, I have an MPhil (in Russian) from JNU and a PGDMB from IMT Ghaziabad. But education continues in some form or the other, every day. How did Sheroes come about? I was inspired by the women I meet across the country to who would tell me – main kuch karna chahti hoon. I feel that women are looking for visibility, recognition, engagement, and to express themselves without inhibition, and for this, we needed to develop a slice of the Internet dedicated to women and those dreams. An expansive, safe and constructive space with a big layer of empathy. That’s what the SHEROES platform is about. Women can access it via Sheroes.in and the SHEROES app. Today, we’ve got 62 communities and counting, plus a dedicated chat helpline; at least 600 women reach out to counsellors everyday via the SHEROES app and actively seek support. You began Sheroes at a time when such a project / initiative was unheard of - and incredibly new. It must have been a huge task to take on. How did you go about working on your goals? Typically, products for women have been built by men, and I think we need to change that narrative and really introspect more on how what we’re building is serving women. Also, I think we need to build products for a cross-section of women,servingdiverse needs and wants. Getting investors, employees, consumers and other stakeholders to understand this piece was a challenge initially. But staying super focused, finding the right collaborators and team members has been the way forward. The other piece has been to bring tech into the picture in a big way. Leveraging technology to meet our goals, has changed the game and just made our mission more efficient and scalable. We launched the SHEROES app in 2018, and today, our members dot the entire Indian map and beyond; women from 192 countries, precisely. Being an entrepreneur working to emancipate and enable the emancipation of other women is often greeted with resistance and trolling - as we see around us today. How have you dealt with any and all pushback you've faced? Sheer determination and also a good support system in the form of friends, mentors, colleagues and investors. Women are soft targets for abuse and trolling, and that’s exactly the problem we’re trying to solve by creating an online space that’s safe. We can attack ideas and ideologies, but personal attacks is just not cool. Internet behaviours need rewiring to bring in more empathy, trust and safety, and in some sense that has been a major motivator. Could you share memorable anecdotes / moments in your journey so far? Another amazing moment was meeting Usha ji from our community, from Malegaon. She penned the poem “main udna chahti hoon”, after attending the SHEROES Summit in Mumbai along with her daughter Trupti. It was the first poem she wrote after marriage over 20 years back. There is an aspiration in every woman, and we are seeing those dreams play out on the SHEROES app. Now, that the app is accessible in Hindi and a number of vernacular languages, and this has helped our community grow and become richer, diverse. One of the most noteworthy and moving dimensions of Sheroes' work is its inclusiveness and deliberate efforts to open up room for more and more women to engage. Could you talk a bit about that - specifically in terms of the importance of inclusion and opening up spaces for women? Thank you for bringing that up. I guess a mix of women feel comfortable opening up on the SHEROES platform, and bringing their authentic selves into the community. There is a sense of never feeling judged in the community, and women, especially those from marginalised spaces, freely engage in all activities – debates, challenges, community chats, and meetups. The engagement of trans women, women with disabilities, lesbian and bisexual women, women from small towns and villages, homemakers, women from the sub-continent and certain marginalised communities has grown, and there is a kind of hunger among women to know women from other spaces, and understand their lived experiences. On Facebook you engage with friends, on Twitter you engage with influencers, on SHEROES you engage with women you have never met and might never meet, but who will influence your life in such unforgettable ways, leaving a life-changing impact. How do you keep your self-care on track, and cope with the demands that such emotional labour evokes? Daily yoga and sometimes doga (yoga along with my dog Mini) really helps. Travel, and also investing in myself – whether through learning a new skill, or reading a good book, or just having conversations with mentors, friends, and my network, really helps. What's happening in the days to come? Lots of cool stuff coming up. By 2022, 800 million Indians are expected to get on the Internet, of which 35-40% will be women. Those women will find a home in SHEROES, and build their space and narrative here. To facilitate this, we are strengthening our vernacular capabilities, and also creating more opportunities for women in all spaces. We just launched our Campus Lead programme for women in tech, with 56 girls from 45 colleges, who will get the support they need to chase dreams. We’re also focusing on women’s health, supporting entrepreneurship and creators in a big way. SHEROES is a women only space, offering interactions, resources, support, and opportunities via Sheroes.com and the SHEROES app. SHEROES Communities are high trust, high empathy where members discuss health, careers, relationships and share their life stories, achievements and moments besides finding ways to grow their aspirations. The app also offers a dedicated helpline where members can talk to counsellors on all aspects of their journeys. SHEROES Network is also home to Babygogo app, a vibrant community of moms.